I’m getting into the peak of my training for the Philadelphia Marathon. I’m well over half way through the training plan and luckily feeling healthy and not too tired. The weather has been great and I’ve been able to take all my runs outside still although it is definitely feeling like fall. The long sleeve shirts and gloves are coming out and now I am finishing my morning runs BEFORE sunrise. We don’t turn the clocks back for another few weeks so I’ll have to accept that as the norm for a little while. The training runs are getting longer and I just knocked out a 20 mile run yesterday with another couple coming in October. All the training is worth it as I appreciate the journey as well as the race although I am looking forward to taper time which I can see coming shortly. 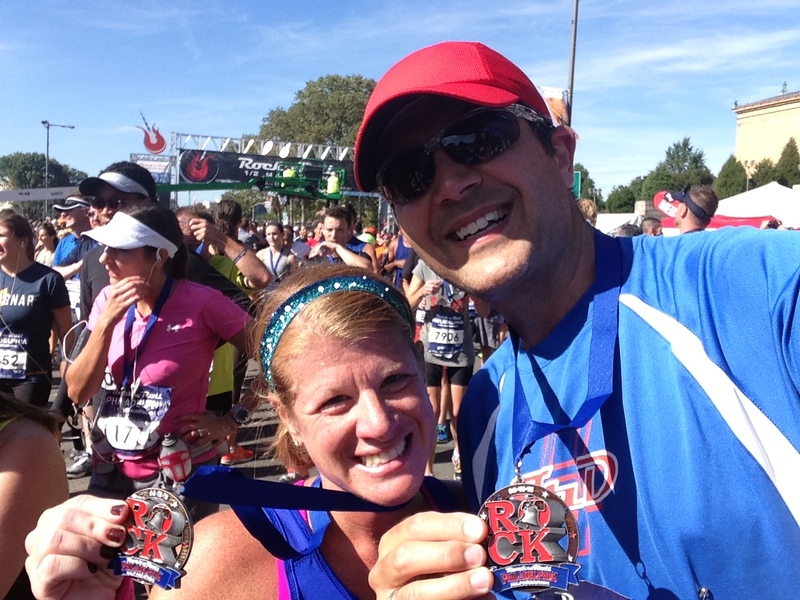 My wife and I ran the Philadelphia Rock ‘n’ Roll Half Marathon mid month. The weather was perfect and we beat our time together from last year. You can read the race recap here. 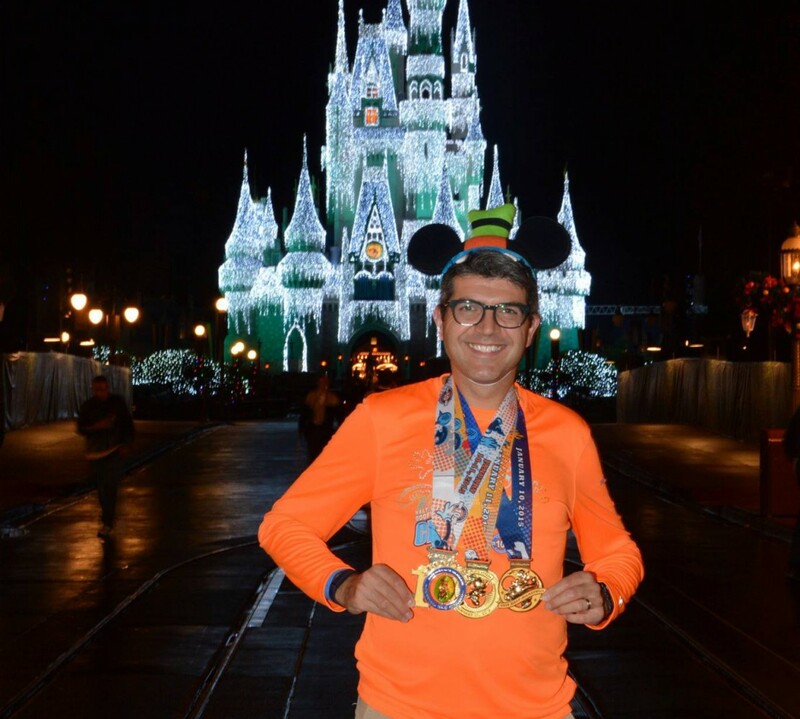 Not sure we would rush to do this again as there are many other races to run and places to explore (Disneyland 2014/Coast to Coast perhaps?). 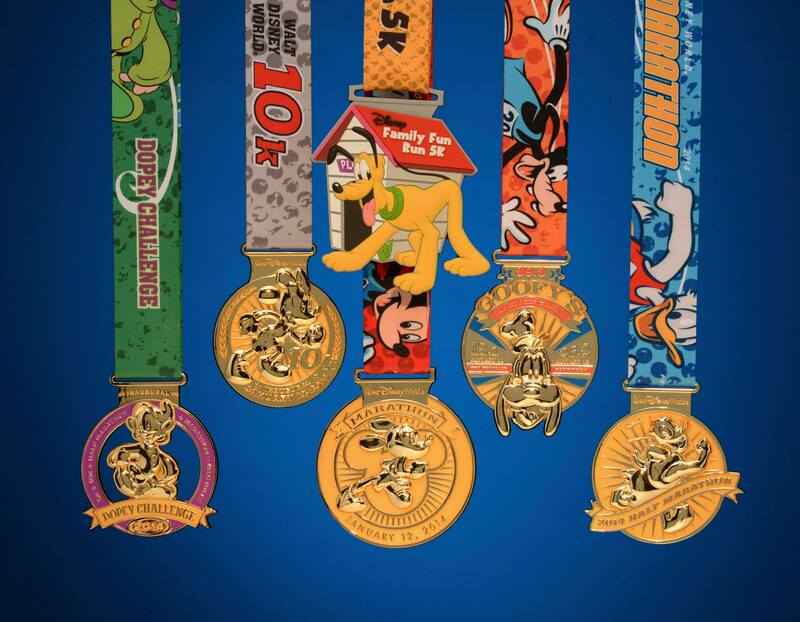 Speaking of runDisney (as I often do) they just released some official photographs of the all new medals for the upcoming races. It brings everything closer to reality and is generating a lot of buzz. There are less than 100 days to go now to Marathon Weeekend. I am looking forward to running in January in the first official Dopey Challenge. The good news is that I made my fund raising goal this month to be able to run the event with Team Up for Autism Speaks. If you are interested in learning more about Team Up and the events they have for 2013 and 2014, please head over to my page on their site and go from there. So week 11 is now in the books. This on paper was the longest week in terms of mileage. 5 runs of 5, 8, 5, 8 and 18 miles respectively. As it was, I felt good this morning during the long run and had a little extra time (I guess I got up too early!) and sneaked in a couple of additional miles to make the long run 20 miles. I guess three 3 training runs of 20 miles isn’t going to hurt me during my marathon training as long as it is not excessive and I do take the designated rest days. 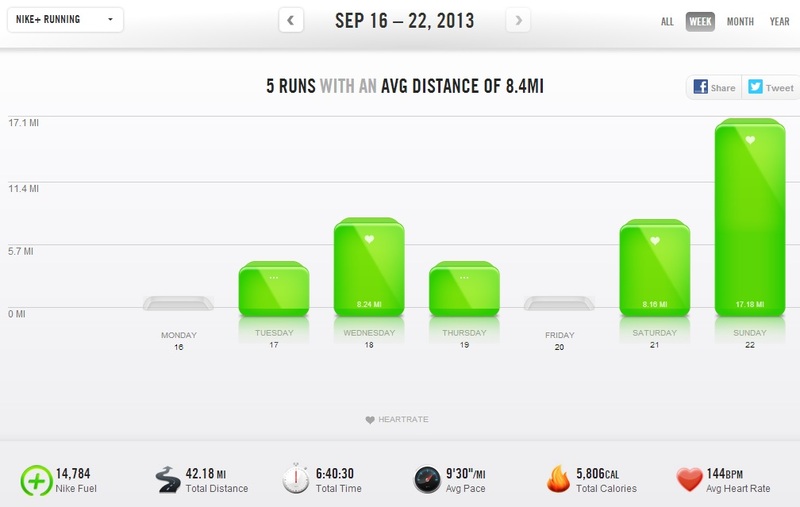 I missed Monday’s cross training session as I still felt tired after last weeks long run. That being said I also had an impromptu rest day on Thursday as when I stepped out of bed my ankle felt a little funny. I strapped it up for the day in a support bandage and by Friday it felt okay and I tried to make up my Thursday mileage which I did with no issues. 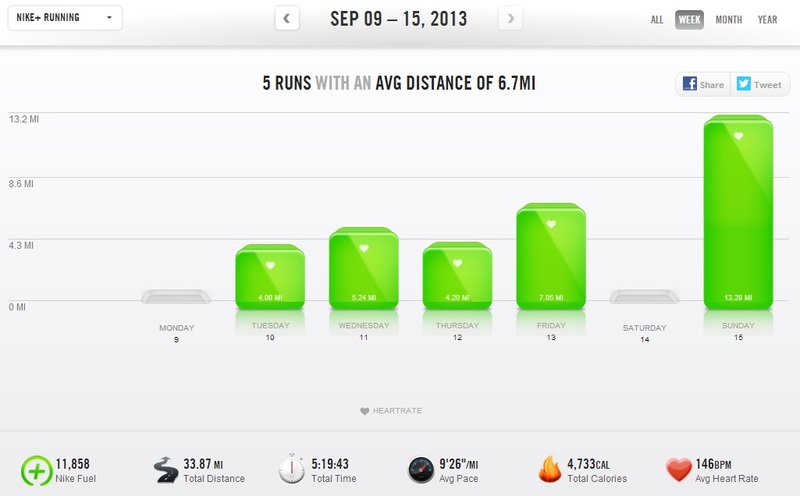 I ended up running Friday, Saturday and Sunday for mileage of 5, 8 and 20. It’s almost as if I was planning to run the Dopey Challenge or something….oh, wait!!! Interestingly today I finished my 20 miler and I took a quick look at my compression sock on the right foot. It had started to fray a little at the heel along the seam. I took a quick picture and sent an email to ProCompression asking about the warranty as I had only worn this pair twice (for the Rock and Roll Half Marathon a couple of weeks ago and today). Within 5 minutes I got a response from customer service on the West Coast. They asked my order number which I gave them and within 10 minutes they had written back and said that a replacement pair was on the way. That is amazing customer service seeing as it was 9am here on a Sunday morning and 6am over on the West Coast. I was impressed. I will need to skip cross training tomorrow as I plan on taking a rest day after today’s long run. 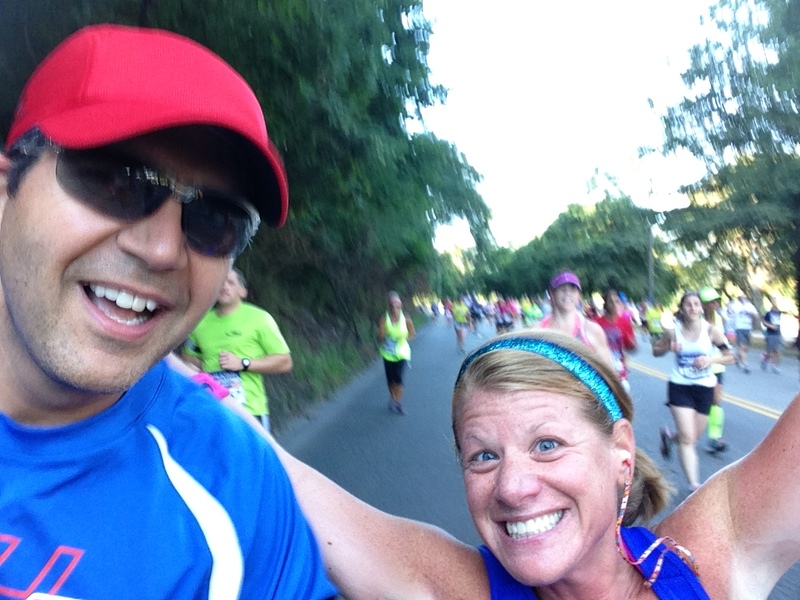 My wife is heading to Long Island next week to run the Diva’s Half Marathon so I will be unable to use Sunday for my long run. I will therefore be running Tuesday through Saturday (5 days straight). Luckily it’s a step back week and my long run is only 13 miles. 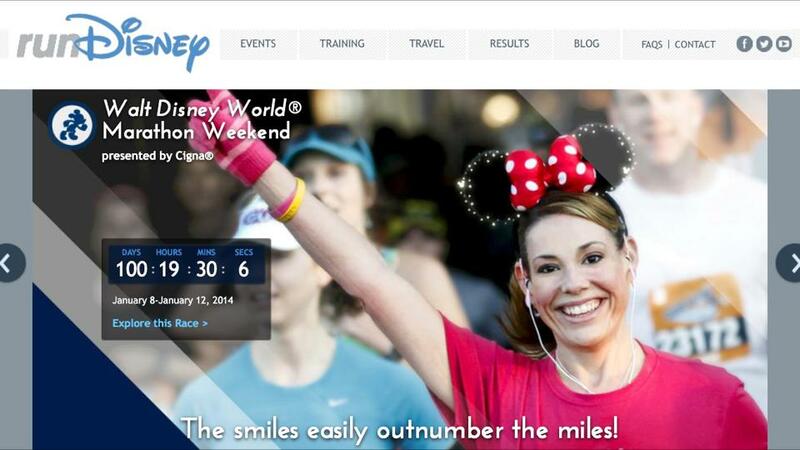 Today officially marked 100 days until the Walt Disney World Marathon weekend. Lots of exciting things to do between now and then. So this is what I am working towards. Today runDisney shared this picture on Facebook. It shows all the medals that will be awarded for completing the ‘Dopey Challenge‘ in January. The 5K run this year is a timed run. They actually did away with the stroller division this year which is a shame. 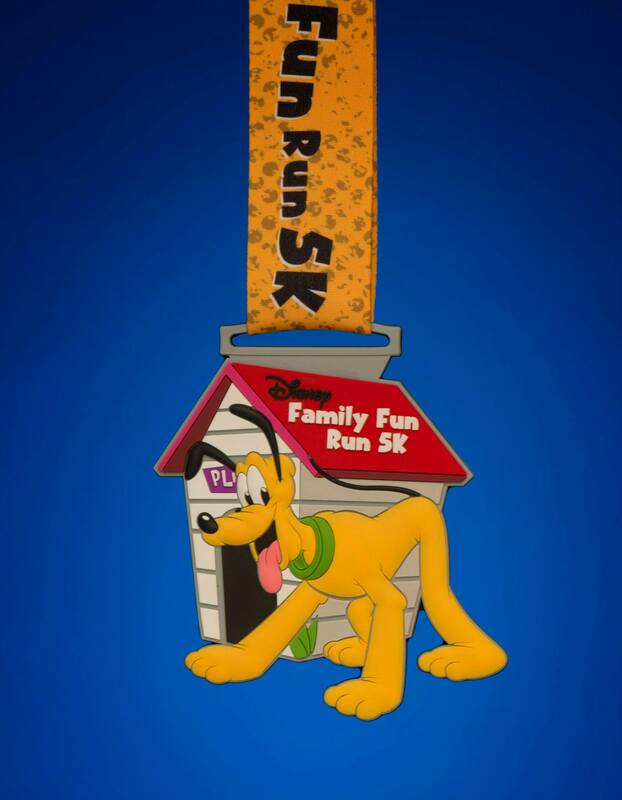 Runners receive the Pluto medallion for completing this race. 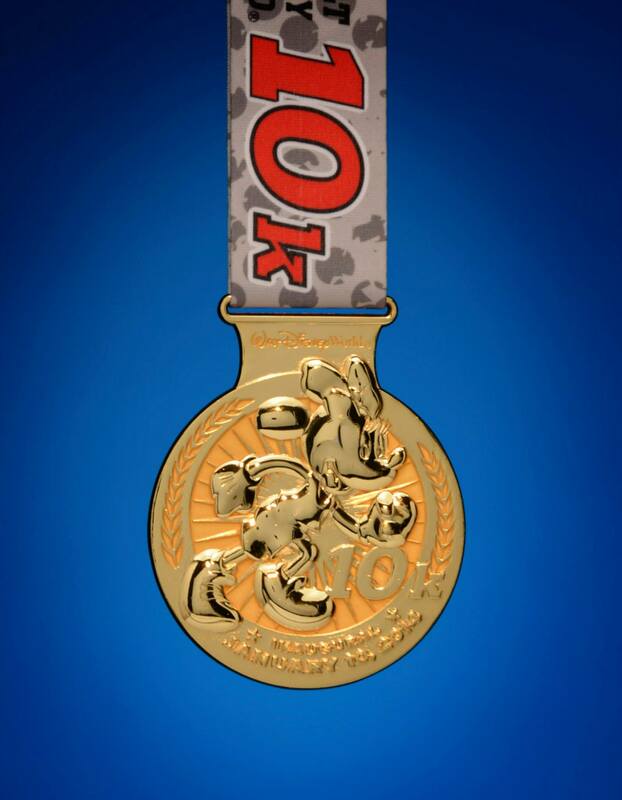 The new inaugural 10K has a Minnie Mouse medal. 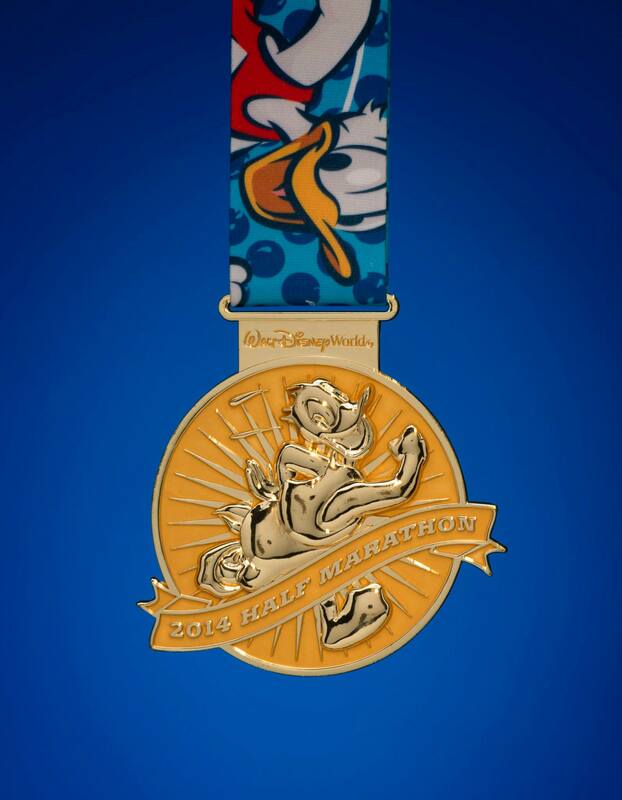 As in prior years a Donald Duck medal is awarded for the half marathon and a Mickey Mouse medal is reserved for the main event, the full marathon. 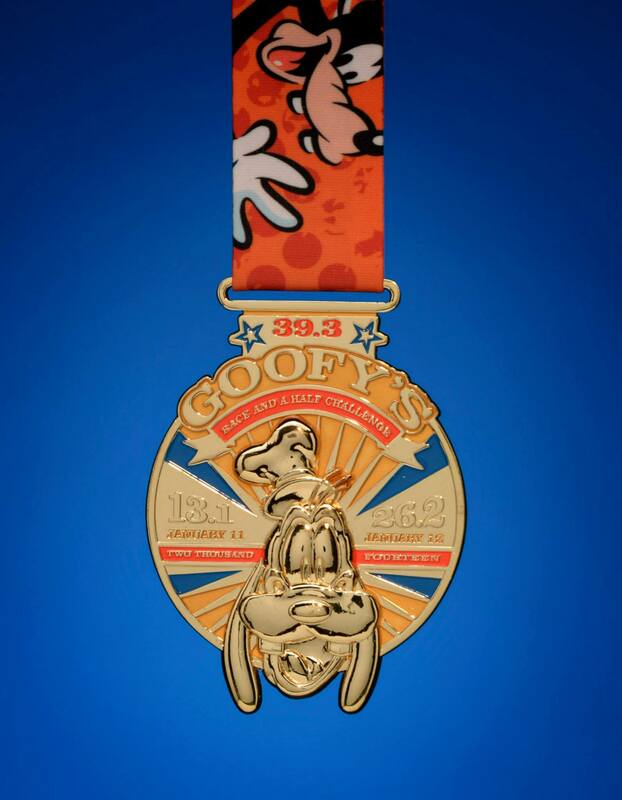 The Goofy medal is awarded to folks who run the half marathon and the full marathon on the Saturday and Sunday for a total of 39.3 miles (‘Goofy’s Race and a Half Challenge’). 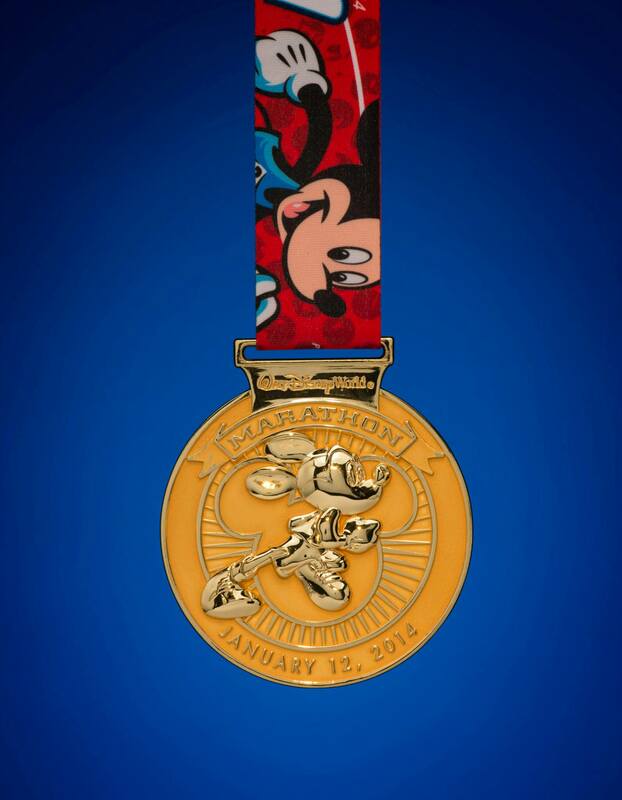 Goofy runners receive the Donald, the Mickey and the Goofy medals. 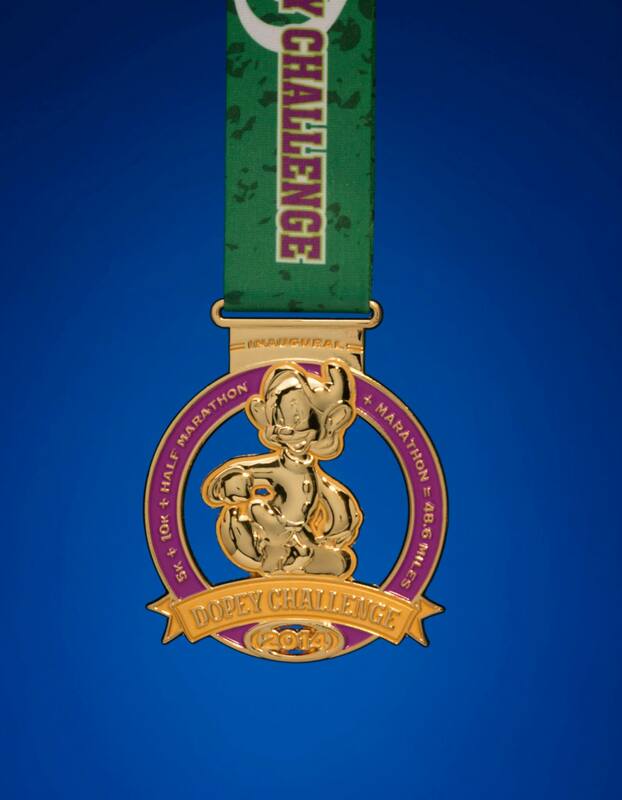 This year the new event is the inaugural Dopey Challenge. In prior years people claimed an unofficial Dopey by running the 5K along with the Goofy Challenge. This years addition of the 10K marks the begining of the official Dopey. In order to receive this medal you run all 4 races on 4 consecutive days for a total of 48.6 miles. Dopey runners receive the Pluto medallion, the Minnie, Donald and Mickey medals plus the Goofy medal (they did run Goofy) and the Dopey medals for a total of 6 medals. Not to mention the official race shirts. I’m going to need a bigger suitcase for the journey home. 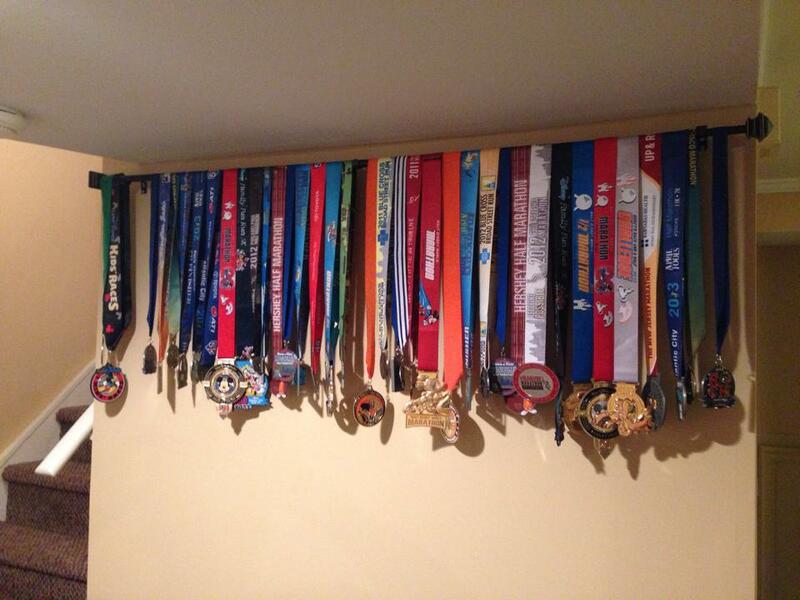 This week my wife and I (plus my 6 year old son) hung up our race medals received to date. Judging by this new collection I will hopefully earn we are going to need a bigger wall, another curtain rod or another house. Week 10? Did that say week 10? Yup. Over half way and only 8 weeks to go. 42 miles this week. A few early mornings. Again, I missed Monday’s cross training. I figured sleep was necessary. I’m pretty beat up at the end of the weekend. Not from the running, probably just the early mornings. The weather has changed. It’s Fall. A couple of mornings had me running in long sleeves and gloves this week. Luckily it was a little warmer this weekend. This morning for my long run was just perfect. I got up around 4.30am to find a beatiful full moon in a clear night sky. I hardly needed the headlamp, then the fog rolled in for a couple of miles and then a beautiful sunrise. Wonderful. It made my long run (17 miles today) very relaxing. I did a pace run yesterday (Saturday). I managed to maintain an average 8:50/mile pace. 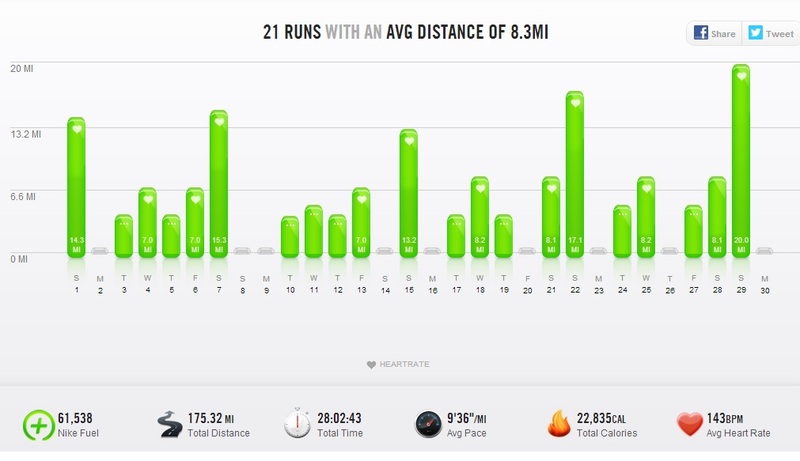 If I could do that for 26.2 miles I’d be pretty happy. It felt good and I was still fresh for my long run today. Overall pretty happy with my week. 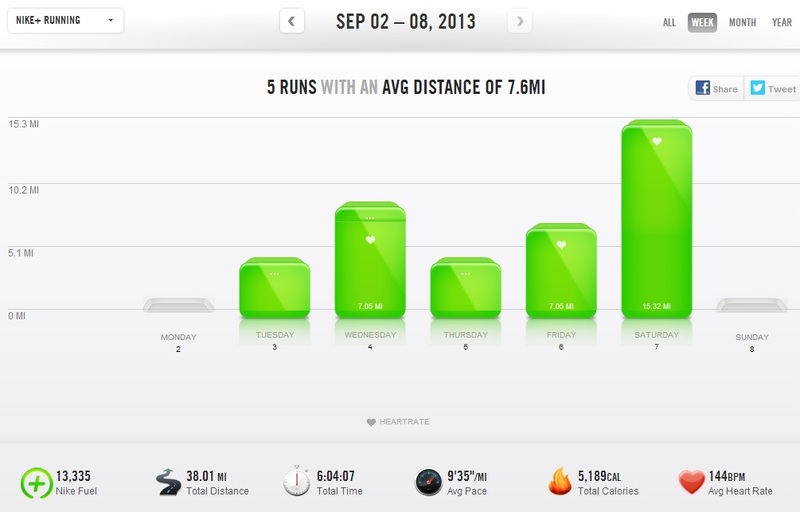 This was one of the longer mileage weeks. Next week I’m up to 18 miles before a small step back week. I’m probably going to be getting the long sleeves and running tights out soon. I’ve been lucky up until now and haven’t had to run inside the gym for quite a number or runs. That’s been great. I’ve really been having some great morning runs recently, the cool weather has definitely been a factor. Looking forward to staying healthy, running well and meeting lots of good folks on the way. 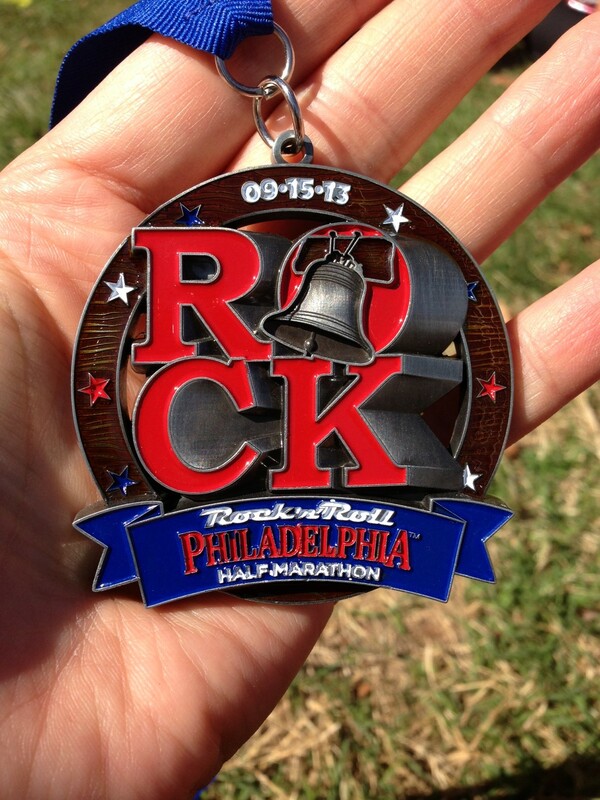 Yesterday my wife and I ran the 2013 Philadelphia Rock ‘n’ Roll Half Marathon. This was my 10th half marathon and it was the third time I have run this event. I first ran this back in 2011 and this was the first half marathon that I ran under 2 hours. Last year this was the first race that my wife and I actually ran together as a couple (we were practising to see if we could stick together as we were training for the Walt Disney World Marathon). We looked forward to this weekend having signed up early. 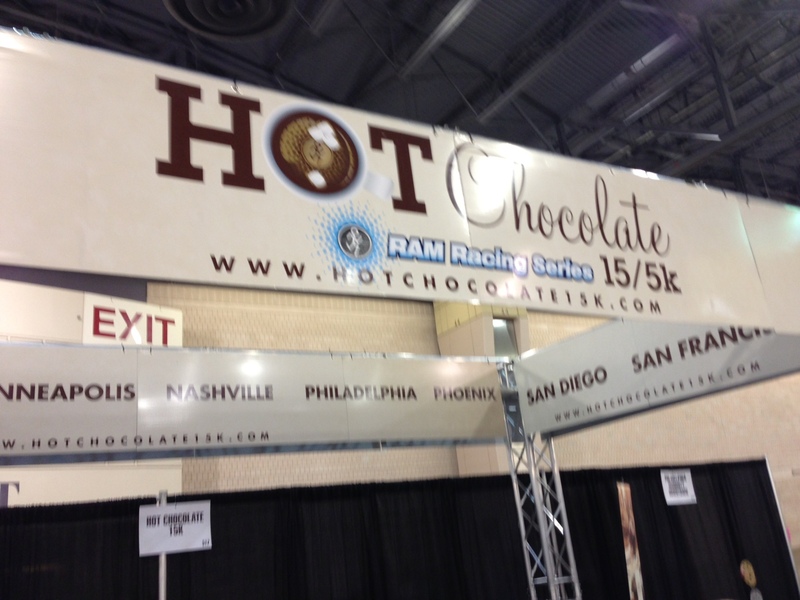 This was the old Philadelphia Distance Run, a race that I never got a chance to run in. There have been many changes to what was a very famous race and there seemed to be quite a bit of bad press recently about this in the local media. As an average runner who is fairly new to the running I was unaware of the history of the event and reading some of the local stories and their viewpoints I learned quite a bit. Nevertheless, for most runners in the field this was a day to run a half marathon, the weather was perfect and people went out to run their own race. 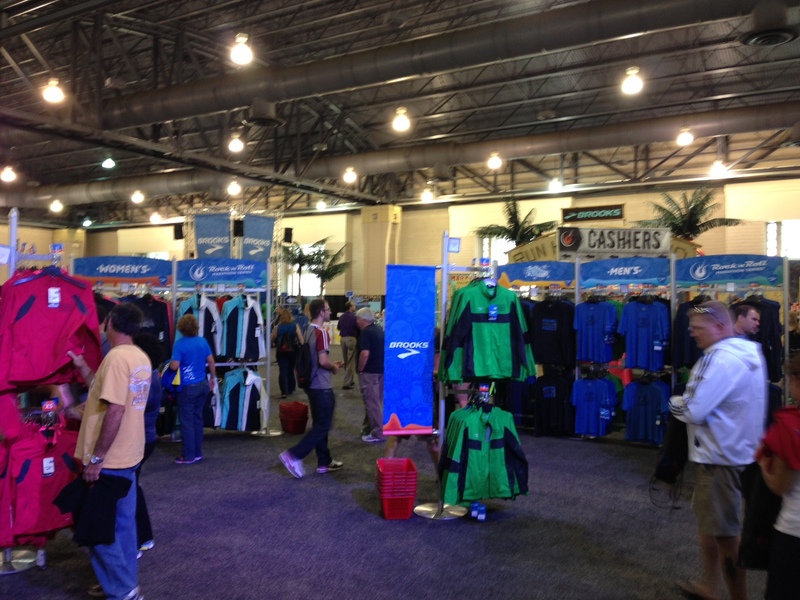 I attended the race expo and bib pick up early on Friday afternoon. 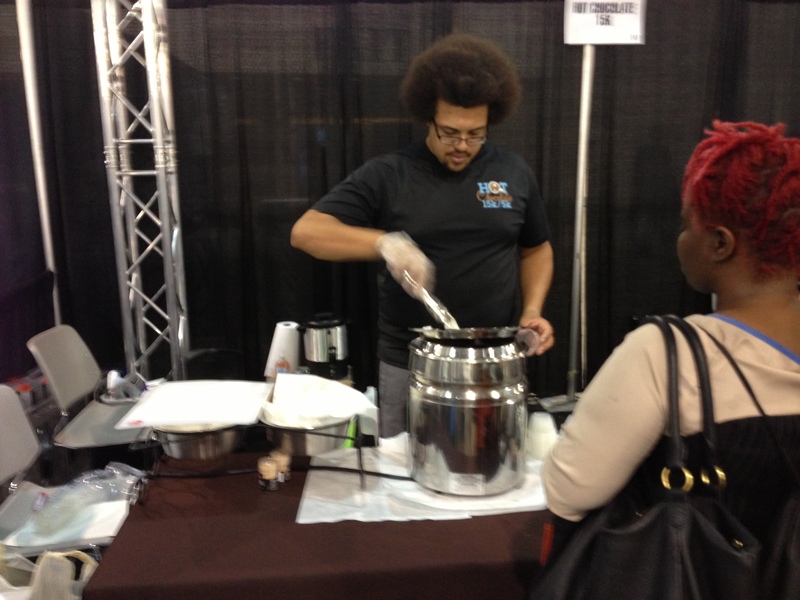 As usual it was at the Philadelpha Convention Center. Brooks is the big sponsor here so took up a lot of area on the floor. Brooks does a good job of entertaining the runners in attendance and this year was no different. They had a lot of space provided to the official race gear although I didn’t pick up anything for myself this year. They did have some shoe advisors there and I spoke briefly with one of their ‘shoe experts’ about my shoe wear pattern. He provided some advice (he said my shoe wear indicated I had tight hamstrings…more on that later). 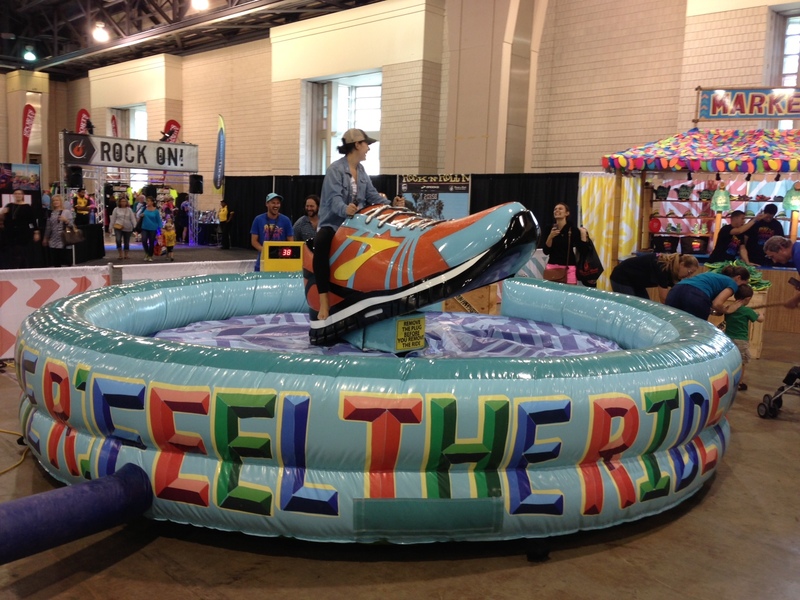 At the side of the race gear the Brooks team had set up some fun areas with games, rides and a gait analysis ‘submarine’. 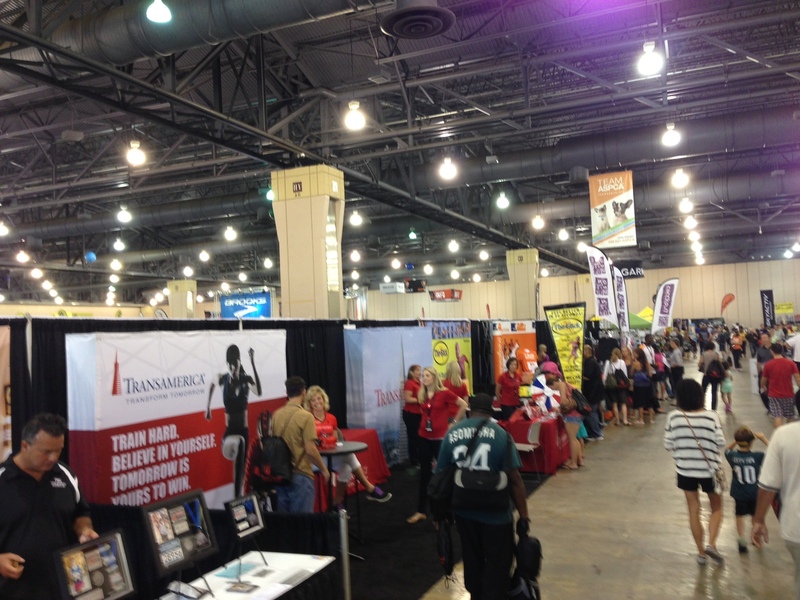 As you can see from these pictures there was quite alot to entertain visitors and plenty of Brooks themed giveaways. I visited the Brooks gait analysis (I’ve worn Brooks Adrenaline shoes 2011) just out of curiousity. I ran on the treadmill while they took video and analyzed my gait. Luckily they came up with the Adrenaline’s as the best fit for me (phew…I have 2 pairs on the go and 1 in the box waiting) and also said I could look at the Brooks Trance (more cushion) or the Brooks PureCadence (less shoe) as an alternative stability shoe. Good to know at least. Going to the expo early on Friday afternoon before the mania of the weekend race day meant that the expo was pretty empty. 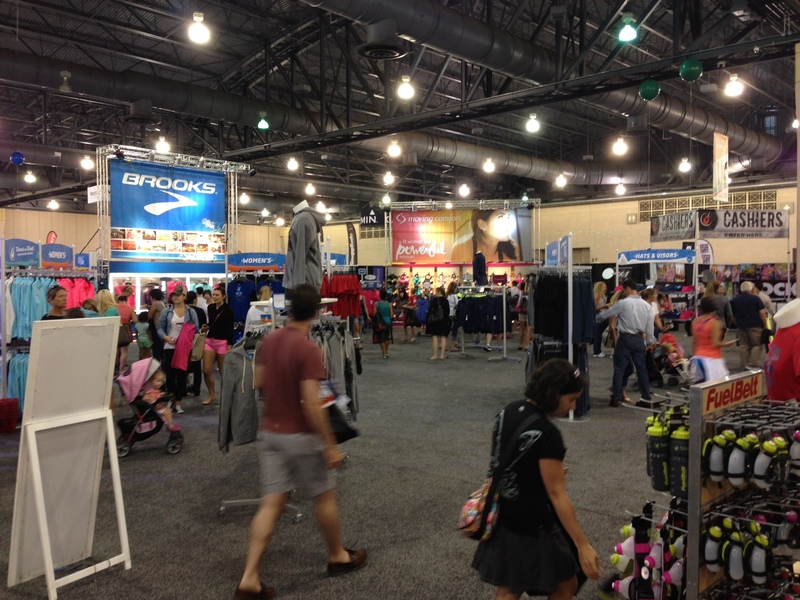 I’m used to expecting to work my way through heavy crowds and so I kind of breezed through the expo fast. 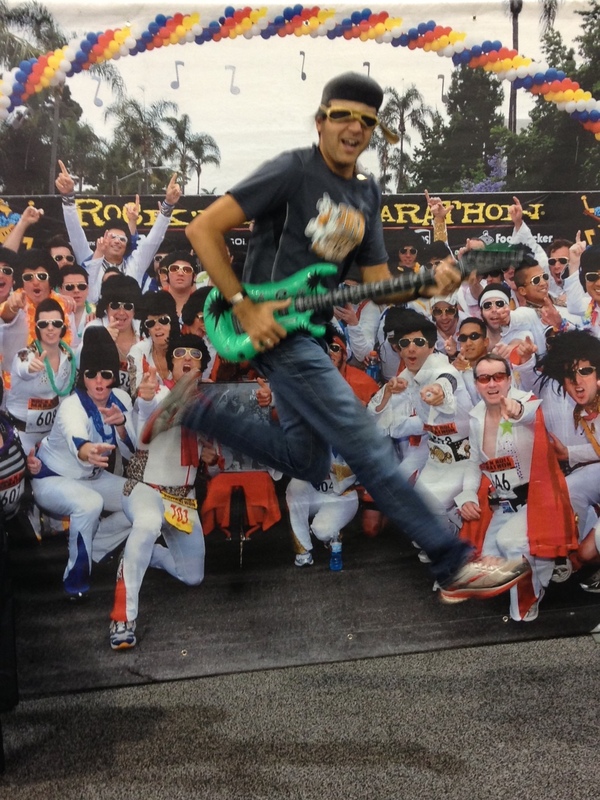 I couldn’t leave the expo without a little Rock and Roll picture opportunity…sorry for this one. I set up my gear the night before as usual. We were starting in Corral 8 with a 2 hour time goal for this race. Both my wife have I have half marathon PRs in the low 1:50s and so we pick this time as an average run time for half marathons and are usually in the same corral. My wife and I were up early and out the door, picking up my sister in law Rina and her boyfriend Mike at 6.20am. Thankfully there were no traffic incidents on the way down (this is Philly…it can be bad any time of day) and we were able to squeeze into a really small parking space in the Art Museum district. The race starts and finishes by the Philadelphia Museum of Art (as does the Philadelphia Marathon in November). If you are not familiar with Philadelphia these are the steps that Rocky famously ran up in the movie back in the day. The statue from the movie ‘Rocky III’ sits at the base of the stairs and makes an ideal photo opportunity. 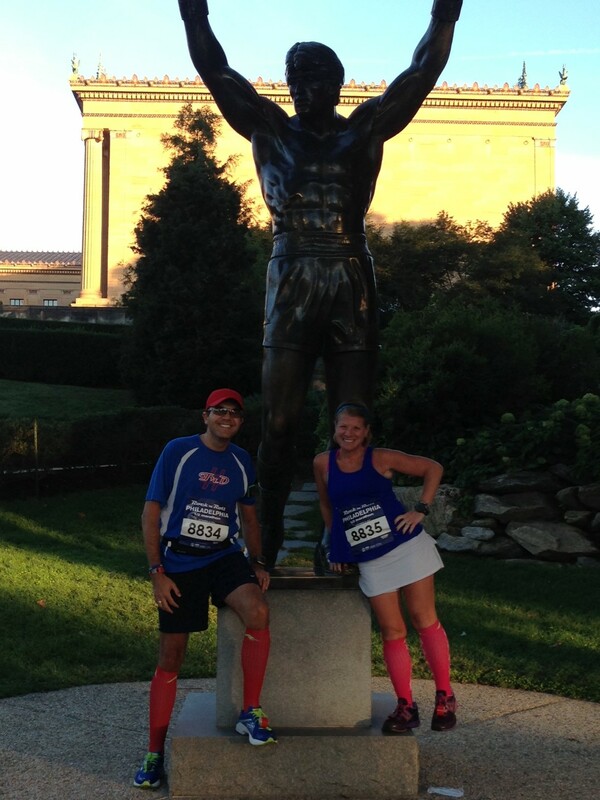 Here we are with Rocky ‘rocking’ our ProCompression socks. Bag check wasn’t a problem. We were given clear bags at the expo to check gear and the race instructions advised that no other type of bags would be accepted in bag check. I guess this is now the new normal since Boston. We had no difficulties pre race as there were plenty of porta potties and the lines were no longer than typical for a race of this size. 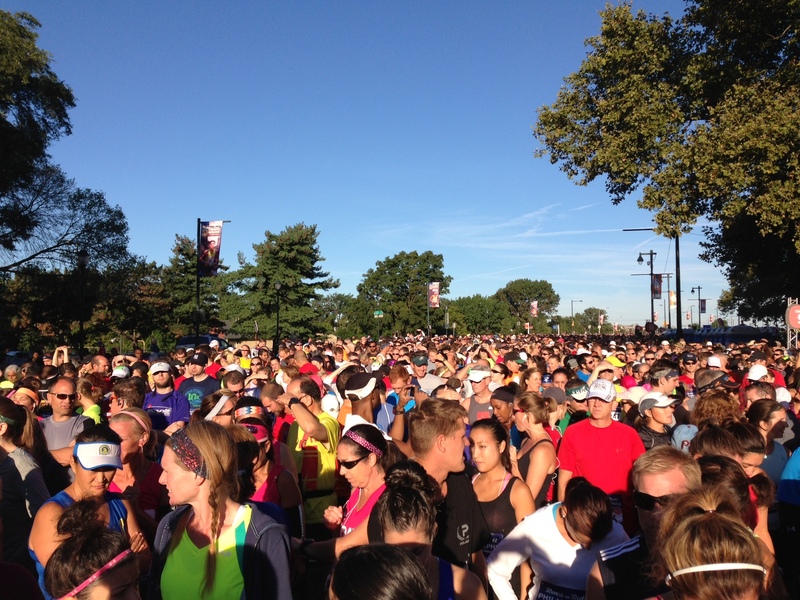 Around 7:45 we headed to the corrals (for an 8am start). There were no announcements telling everyone to get to their corrals and none of the volunteers were checking bibs for the correct corral placements (I guess I am spoiled by my runDisney races). There were not as many announcements from the stage as there were in prior years as I recall. This may be due to the recent news that the sponsors cut appearance fees for the elite athletes a few weeks before the race (see my earlier comments) so I don’t recall hearing from anyone famous at the start line as in prior races. After the National Anthem the countdown for the race began. The temperatures were great for the race. High 50s going into the low 60s. As the gun went off we set off with me doing my regular run-walk intervals and my wife running ahead a little. I would catch up with her after each break and she would take every 3rd or 4th break with me. We were just about a half mile into the race when the lead runners were already coming back to us at mile 4 on their way up the Parkway. We were about 12 minutes behind the gun time when we crossed the start line. 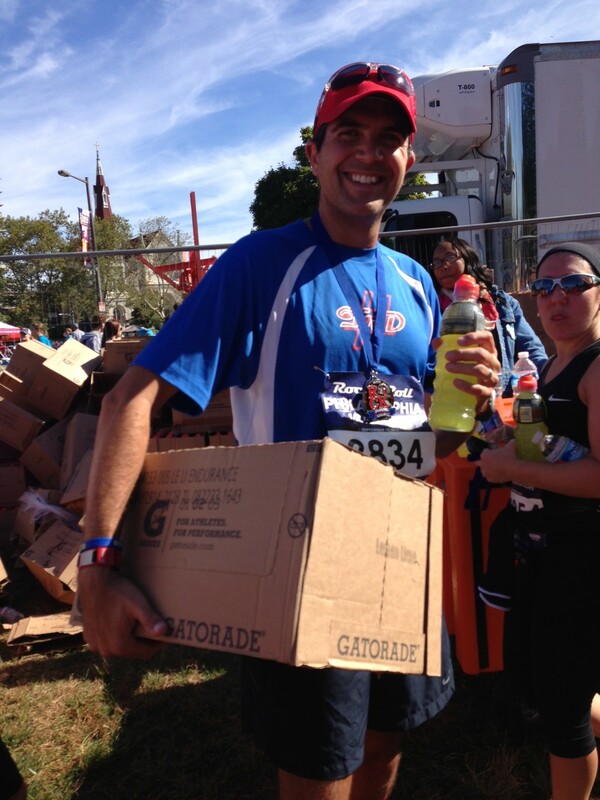 One thing we noticed on the course was a lack of water stations. The first water station was fine but there was a long break before we reached the second. When we got there the tables were empty. No cups, no water and no volunteers. That was not fun. It was near mile 3 and I could have done with some water. There was a stop just ahead but no volunteers were there to let you know that. It was a little disturbing until I knew that. The road at the first station with Gatorade was awash with spilt Gatorade and you could actually feel your feet sticking as you ran through. A very weird situation. As usual there were bands along the route althout not all were in the Rock ‘n’ Roll theme. Once past mile 4 we were out of the City and up by the river. This is a really nice part of the course. It is the 8 mile loop which takes in East River (Kelly) and West River (Martin Luther King) Drives. You run out along Boathouse Row, cross the Schuylkill River at the Falls Bridge and run up West River Drive back up to the finish line in front of the Art Museum steps. The run along the river is very calm and relaxing. It is quite shaded so this made it very enjoyable. There were a couple of bands out along the river to entertain us. Not much water again. The first water station was on the left side of the road which I didn’t see until almost too late and I made an awkard dash across all 4 lanes to get some water. Not what I like to do but I needed some fluids. There was a water and Gu station at mile 8 just before we crossed the river. 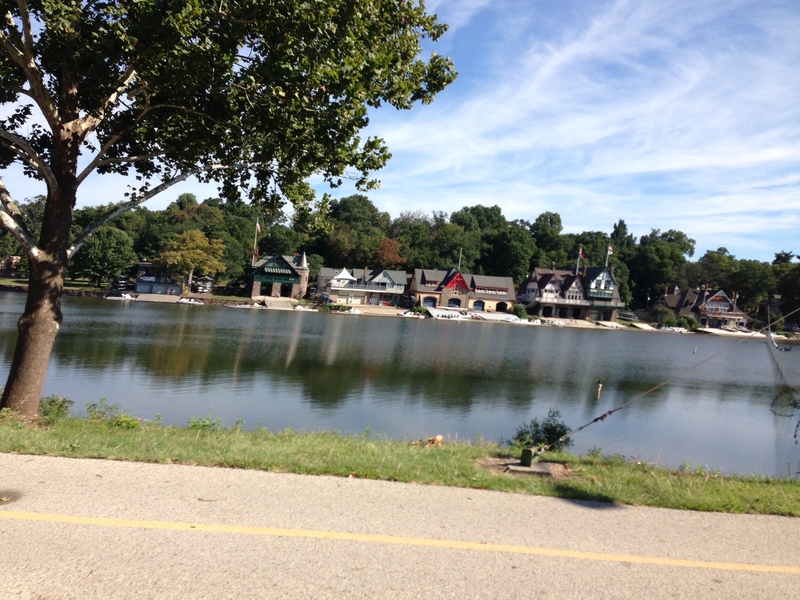 Running up the West River Drive gave a good view of Boathouse Row. It was fun to watch some of the crews out training on the river. 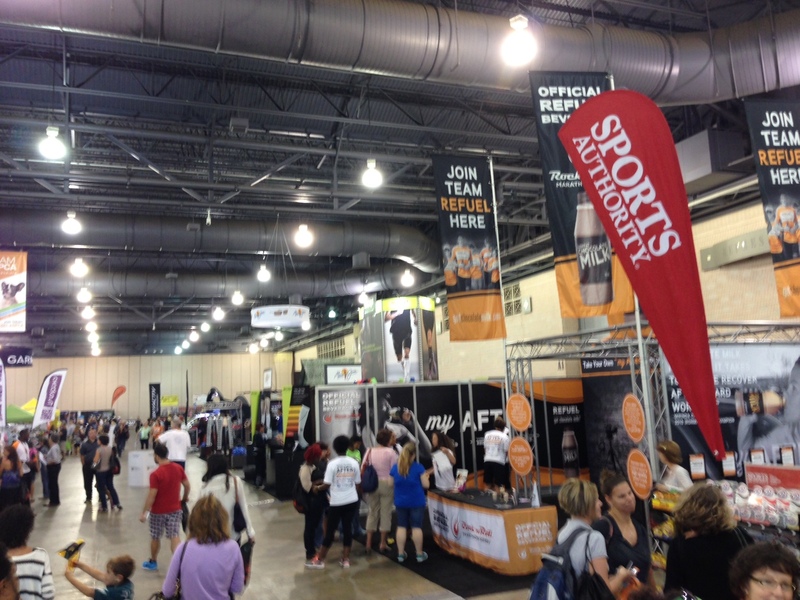 This is the same area where the City runs many races in Philadelphia including the Philadelphia Marathon and the Philadelphia Tri. Although there were some bands along this side of the river too (inlcuding an incredible bag pipe rock band…yes, you heard that right) it was pretty quiet and peaceful. There were quite a few high school cheerleader squads out to cheer us along which was nice. 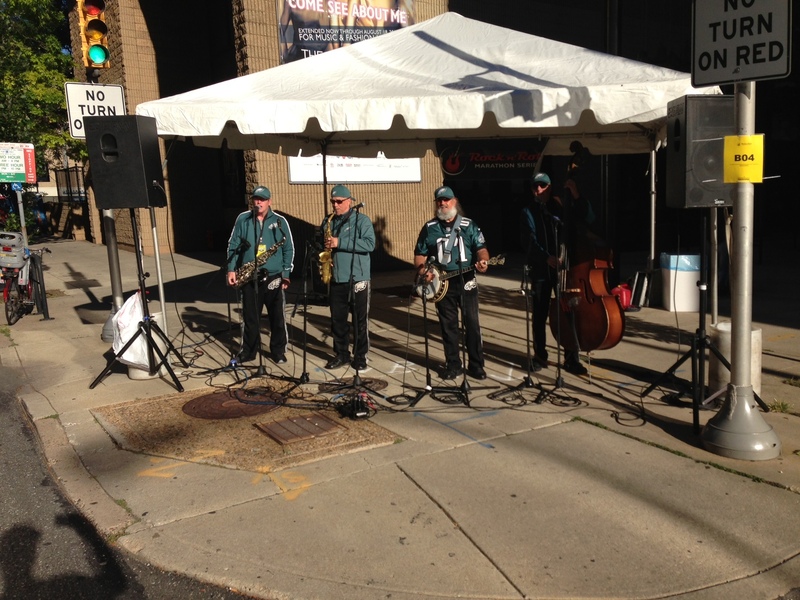 I have to admit that I feel the crowds in November at the Philadelphia Marathon are deeper and louder. West River Drive starts to camber severely to the left and then suddently severely left as you run up towards the finish line. It is a slight uphill but you could definitely feel the lean to the sides more than the hill up on the way back in. Around mile 12 the shade of the trees goes and it is a run up the hill towards the finish line. We were looking at a finish time around 2 hours as we reached the last mile but we kept the pace easy and decided not to sprint to the line as we are half way through our marathon training for Philly and already a little achy. 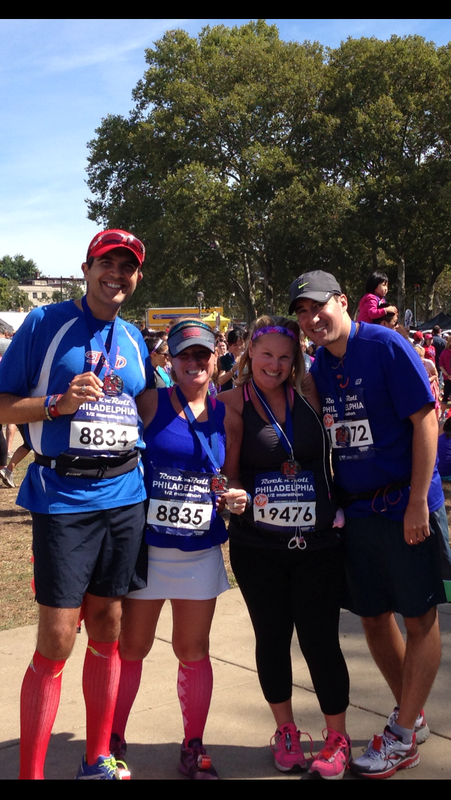 We crossed the finish line holding hands and finished in 2:02. Not a bad time and 3 minutes faster than last year so we were both pleased. As we crossed the finish line the temperatures had risen and it was getting hotter. We grabbed a couple of bottles of water each. We remembered from the year before that once you left the finish chute you couldn’t get back in and there was no water outside of the finish chute. So this year we made sure to grab extra. In the finish chute there was so much food and as we remembered from last year we barely were able to carry everything out. This year we wised up and grabbed and empty box by one of the food tables and used it as to grab what we needed and carry out the finish area. For some reason the soft pretzels and bagels were hidden under plastic sheets and there were no volunteers handing them out. Had we not seen someone helping themselves we would not have known it was there. I need my bagel post race. Next up, chocolate milk. I’ll run extra miles for that. Yum. As you can see we got our fill. We sat at the finish area, stretched and waited for Rina and Mike to finish their races. We caught up on Facebook and shared some photos. The tip from the Brooks shoe guru about tight hamstrings had me stretch quite a bit before the race and I noticed I wasn’t scuffing my feet so much. Thanks for the tip. I recognized Jennifer from ‘The Final Forty‘ blog at the finish line and said a quick hello before heading out to gear bag pick up. We didn’t have to wait too long for Rina and Mike as they made good time and finished around 2:50. A great run for both. It was also Mike’s first half so that was a great to celebrate with him. Overall it was a fun day. Would I do it again? 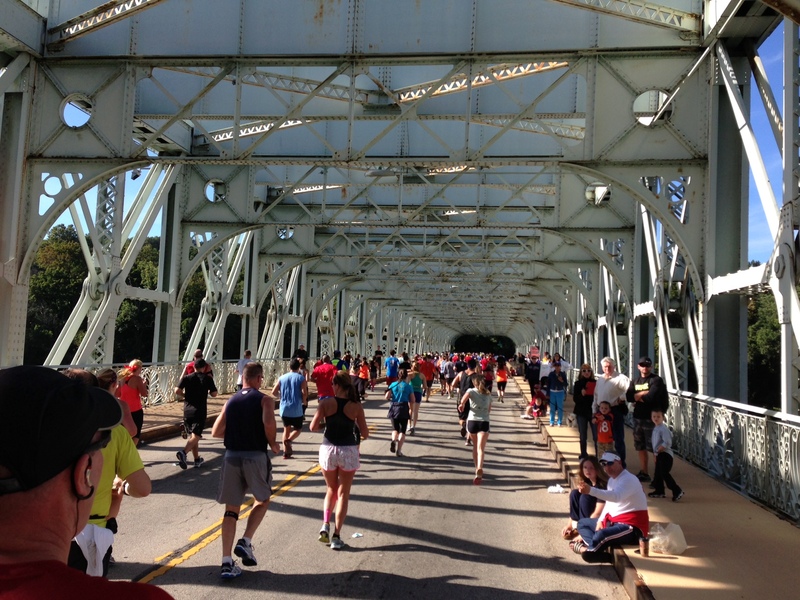 It’s a local race, the weather seems to cooperate and I always like running down along the river. However, I may look to mix up my Fall schedule next year and run some new races and places. Week 9 done. Officially half way through the training plan for the Philadelphia Marathon. Shifted a couple of things around this week but managed to get my cross training day in on Monday. The temperatures crept up again this week and my mid-week morning runs were tough in the heat and humidity. Thankfully this was a step back week. One morning this week I had to run in fog. It’s amazing how useless a headlamp is in fog. I chose my steps carefully and stayed on the path inside the park. Better safe than sorry. 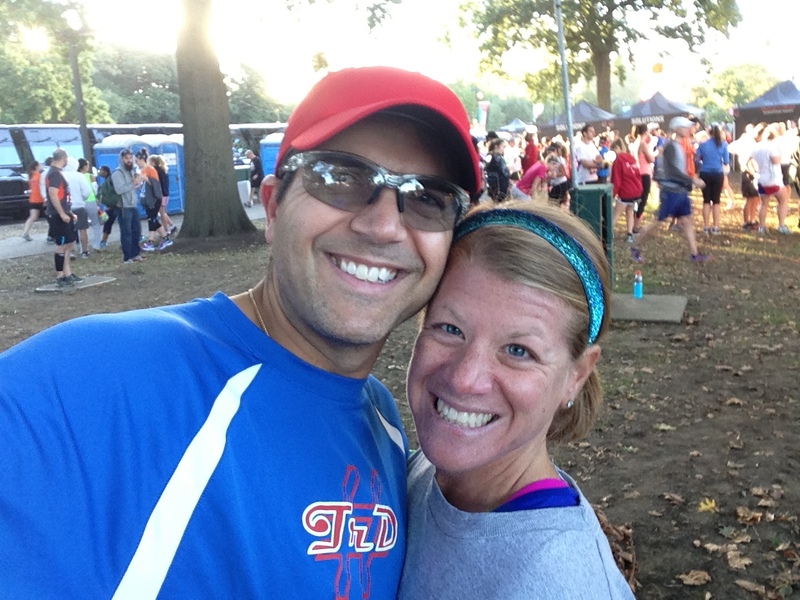 I was supposed to run 11 miles as my long run this weekend but my wife and I ran 13.1 as we were taking part in the 2013 Philadelphia Rock n’ Roll Half Marathon. I will be doing a separate race recap on this in the next couple of days. Tonight I plan to get an early night as I start upping the mileage again this week with a long run of 17 at the weekend. Today’s half marathon took my total of half marathon events to 10. Something I never imagined when I started running just over 3 years ago. I’m supposed to be cross training again tomorrow but I’m feeling pretty tired after this weekend. I may sleep a little longer tomorrow and break out the stability ball and foam roller for 20 minutes or so when I get up. It’s something which is better than nothing. I’m heading into the chiropractor again in the morning for another adjustment. All this training can beat you up sometimes. An ache here can lead to an ache there. I pulled a muscle a couple of weeks ago and although the discomfort went after a couple of days I must have overcompensated elsewhere as I began to develop some heel discomfort. Without a diagnosis I was worried that I may have the beginings of plantar fasciitis but thankfully (I guess) although the symptons seemed like that it was actually a result of my leg, ankle and foot locking up as a result of the muscle pull. Relief for sure. Interestingly at the Rock and Roll expo I spoke with a Brooks representative about the wear on my running shoes and he diagnosed the wear pattern on having tight hamstrings and not clearing the ground enough while running. I stretched quite a bit over the last couple of days and took extra time to do so before today’s half marathon and I have to admit that I did notice a change that I was not scuffing my feet so much (which my wife often points out when we run). I’ll be looking into stretching a bit more over the next few weeks as a way of staying healthy and hopefully less sore. I broke out a new pair of the Pro Compressions socks for the half marathon today and they are feeling good. Again, I appreciate the arch wrap on some tired feet. Week 8 done. 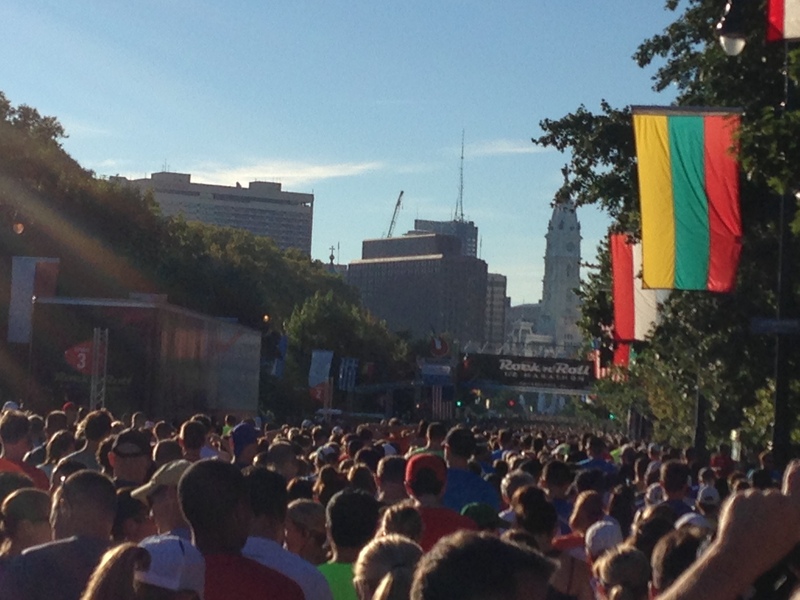 12 weeks until the Philadelphia Marathon. Again this week’s schedule didn’t allow for me to stick strictly to my training plan other than the mileage which I completed. I missed my Monday cross training (probably too tired from last week) and I missed my Friday rest day as I had a committment on Sunday morning so I ended up running 5 days in a row. Again, I can only say this is training for Dopey as my excuse. The longest run of the training plan so far was the 15 miler on Saturday. I did my first run back in Tyler Park since the spring. It is pretty good training as there is a lot of hill work to be done. I did three loops of just over 5 miles each and felt good. The hills weren’t too tough although the first couple of miles (uphill) were probably my slowest of the run, but once I had warmed up I was a little faster and brought my average pace down so the long run ended up under 10 minutes per mile overall. The seasons are definitely changing. I broke out the long sleeve shirt and thin gloves one on my runs this week. I wished I had brought my gloves along for my long run on Saturday but it did warm up eventually so all was good. I’ll need to start reassessing and resorting my running gear shortly. Maybe a shopping spree?!? Again I ran in the Pro Compression Marathon sock and I’m feeling comfortable in them as I go longer and longer. I actually bought another pair for myself this week and a pair for my wife too for her to try. 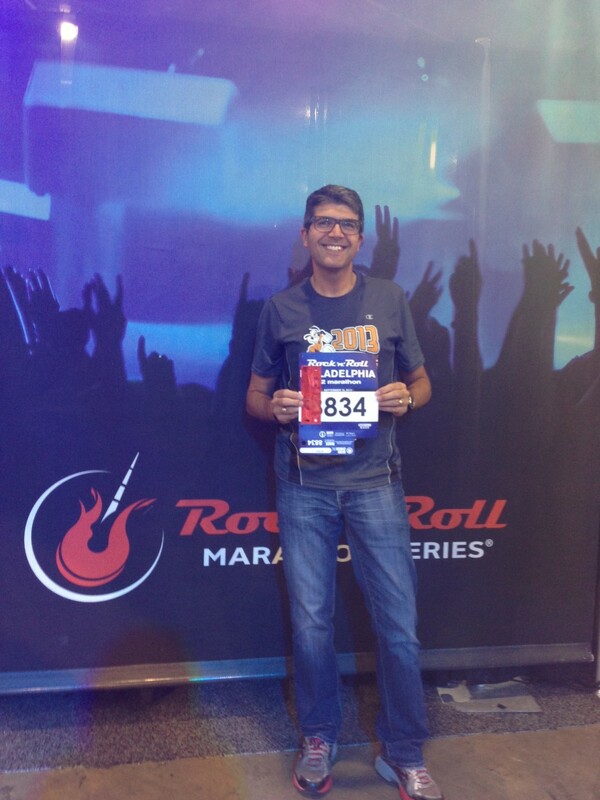 Next week we will be running together at the Rock and Roll Half Marathon in Philadelphia. Looking forward to that. 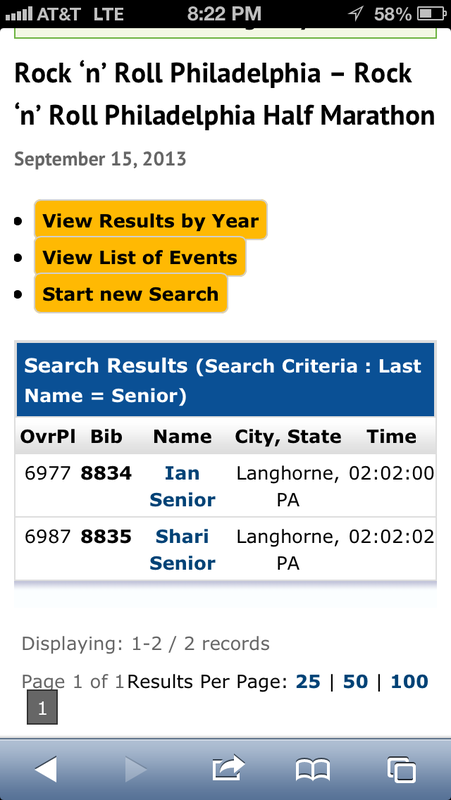 A highlight this week was that I was featured on the Philadelphia Marathon blog [2013 Entry #6]. 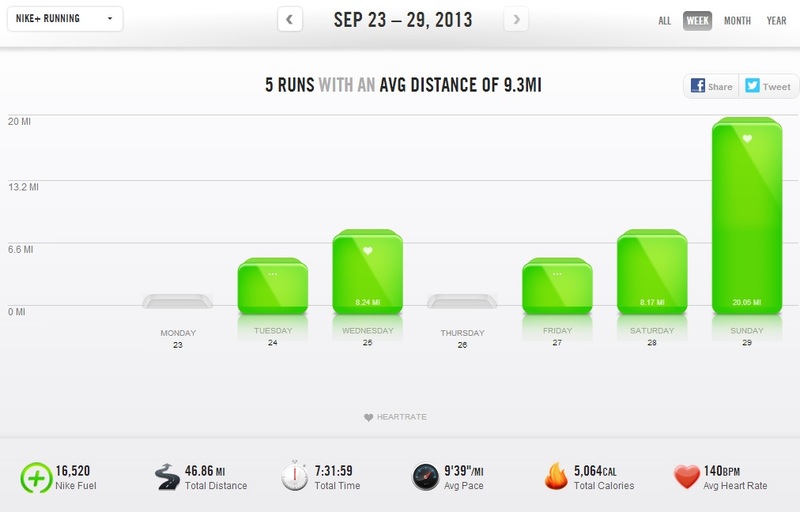 It was a nice end to the week and I’m looking forward to the Marathon in just over 2 months (whoa…just over 2 months). 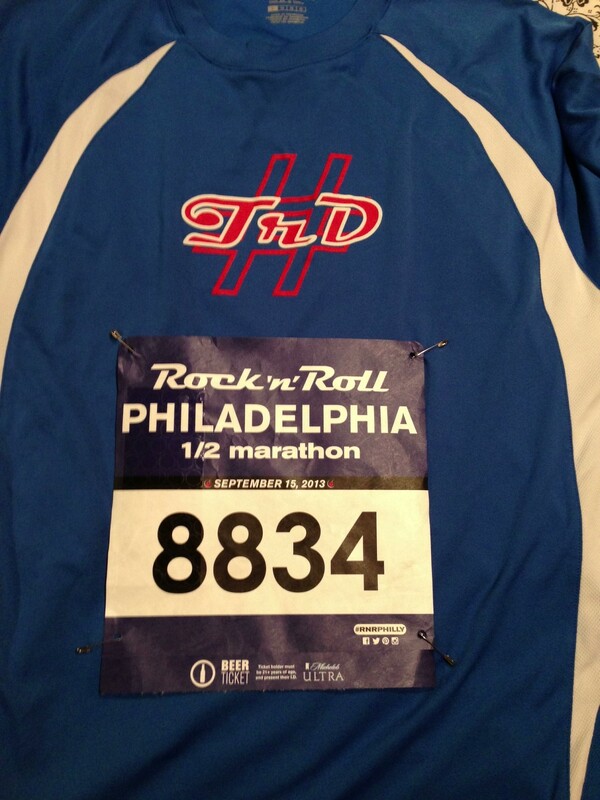 Next week is a step back week again and my long run will be the Philly Rock and Roll Half. The plan calls for an 11 mile run but I am not planning to race the half so I’ll run those extra 2.1 miles fairly easy (I hope).